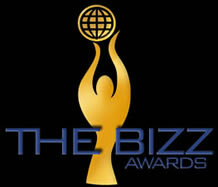 A friend who runs a medium-sized business in Costa Rica was contacted and offered “nomination” for the Bizz Award. He turned it down because he didn’t know who they were, why they were contacting him, or by what criteria he was nominated. He also guessed that accepting would eventually require paying a big chunk of change and was probably in essence an (ineffectual) publicity stunt more than a legitimate award. This entry was posted on October 22, 2008 at 5:40 pm and is filed under Uncategorized. You can follow any responses to this entry through the RSS 2.0 feed. You can leave a response, or trackback from your own site. Reminds me of “Who’s Who Among High School Students.” I see a ton of resumes where job applicants include that as a qualification. That’s generally a prelude to a paper airplane flight to the trash bin. Hi, my company was contacted and nominated for the same award.. the ceremony is supposed to take place in three weeks. Is this thing legit or a scam? Hi, I have just received an invite to attend and collect my BIZZ AWARD at the Burj Al Arab hotel Dubai one of the most exclusive hotels in the world. From this I gather these people intend to drag a large amount of money out of the “award winners” The Arab business men are quite keen on seeing their name in lights so maybe WORLDCOB have picked the right market for their SCAM ! We are a Middle East company and have been nominated for the award. We dont know the background and criteria for this selection and thus a cause for surprise. It may sound very enticing to be in the List but It could be a big scam. We are verifying the same. Anyone have clues? Please do publish. Same here, also based in UAE. Any news on this thing? Same here… It’s a scam I assume. This year I got my second congratulations on having won the “most important business Award in the world”. Yeah right. It is a puny organization operating out of a tiny office in Houston that sells nominations and awards. Interesting business model indeed. The fascinating part of this is that a simple google search comes up with all of the little companies that have been duped to pay for this, and then tout it in press releases as a true accomplishment. In regards to the major corporations that have been named, and there are some, I am sure some flunkie signed up. I find it interesting that they do not market this in the US. This is promoted in Latin American and the Middle East from what I can tell. Do you think they are concerned about the legal implications of what they are doing if they tried it in the U.S.? Stay away from these clowns. The award is legit although the reasons for nomination were never that clear, it turned to be a great way to network. Our company attended last year event in Panama and we had legitimate mainstream coverage media for this ceremony. The presentation of the award was very well done. Frank, I’m not sure about the US but I do know they have the award for European and African companies as well. We’ve been nominated in the past but never acknowledged them. Now I see they’re receiving coverage of local TV and press. Hmm even if fake the publicity could well be worth it. Any idea how much the award is ? hi debbie, did ur company participated in the award in cuzco? are they a legitime award? Hi my company also was contacted by this unscrupulous prize sellers, seems that all of them are from Peru, and in Bolivia they sell they prize to everyone since great banks to small hair shops. The prize cost about 3000 USD and curiously they only sell this prize in poor countries? Do you know about some company in USA or Canada that buy this price? These guys wrote a mail to my company in india. looks pretty dicey. I wonder how they get their award events in different countries funded/sponsored. apparently there are big names as sponsors. any idea? We were also contacted for winning this prestigious award, but we got curious when we saw a statement in the mail by the organisers saying that, I can verify about this organisation from the receptionist of the hotel Taj Mahal, Mumbai and get it confirmed whether the organisation has booked the ballroom or not? No standard oganisation will give such type of statement. We were asked to pay $3500 for becoming the member and attending the award ceremony.. This is just ridiculous.. This type of people must be sentenced to death..
central office is just a suite for which they pay $ 500 per month. It’s amazing to me how many in these comments ask if it is legit. How do you have the acumen to run a business if you can’t smell a scam like this a mile away. Who the hell is TheBizz? Tell ya what. I have an award for you if you are interested, just send me $500 processing fee and you got it. A lot cheaper than the $3500 these charlatans ask for. Several months ago I got the invitation to the “THE BIZZ” for my company. I tried to check the reality of this “Award”. I invented the company, which don’t have any real assets, except my personal e-mail and mobile phone number. After some time I got invitation to awarding by e-mail for a non-existent company. After my answer on this e-mail I got the phone call and man said that I need to pay $5000 for my participating in ceremony and getting a prize. After my refusal he said that they can send my award and diploma by mail and this cost about $2000. I think The Bizz is a scam and it looks like a shop to sell a prizes and diplomas. I have worked for WORLDCOB in Peru, in their real operations office. I quit soon after understanding the system. There is no evaluation process of any sort, it is only gathering of companies’ information from around the globe to offer the prize in exchange for huge amounts of money. The award has no base whatsoever. Jesus Jorge Moran Perez and Worldcob are a scam and this people are very dangerous cause have problems with the police by a sexual violence in Peru. Slow down and keep working.